By using a cloud-based, software-as-a-service (SaaS) delivery model, NetSuite OneWorld delivers a variety of benefits compared to on-premises ERP solutions. Those cloud benefits range from rapid deployment to significant reductions in both capital and operational expenses. Most importantly, the integrated collection of OneWorld modules provides a proven way to address the challenges posed by a variety of business triggers. 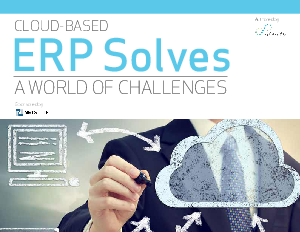 The examples that follow illustrate some of the actual challenges that legacy ERP solutions cannot meet. The examples are placed within 5 broad categories of benefits that NetSuite OneWorld customers realised after deploying the cloud-based solution.